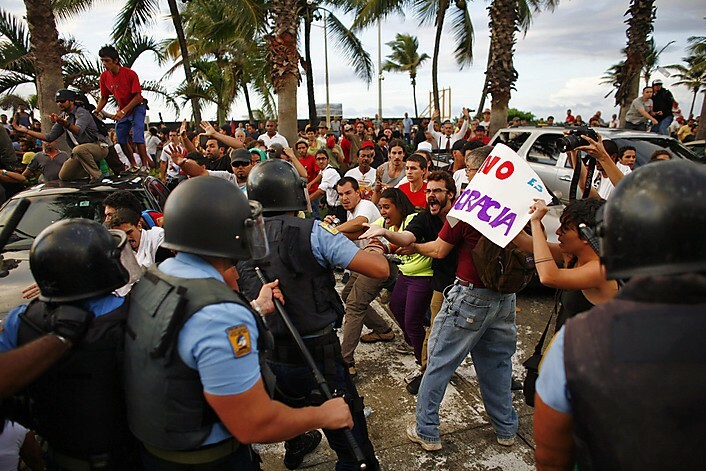 With Puerto Rico on the edge of bankruptcy, and its Governor Alejandro Garcia Padilla declaring that its public debt of $73 billion is “not payable,” C-SPAN has just released an hour-long interview on the War Against All Puerto Ricans. “This financial crisis did not start today. They’ve been terrorizing us for years. 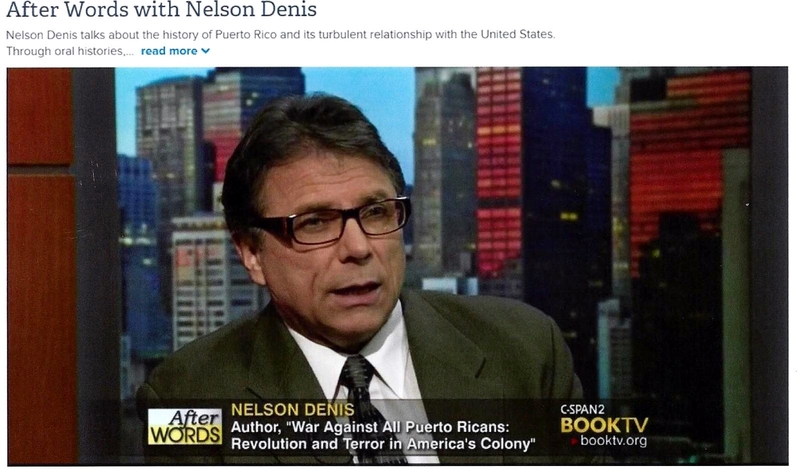 The U.S. arrested 3,000 Puerto Ricans, murdered dozens of them in the streets, tortured hundreds of them in secret prisons, and even bombarded two Puerto Rican towns in broad daylight,” said Nelson Denis, the author of War Against All Puerto Ricans. During the C-SPAN interview, a century of political repression and FBI terrorism was discussed in great detail. This included illegal arrests, the “disappearance” of hundreds of political dissidents, the torture and execution of political prisoners. 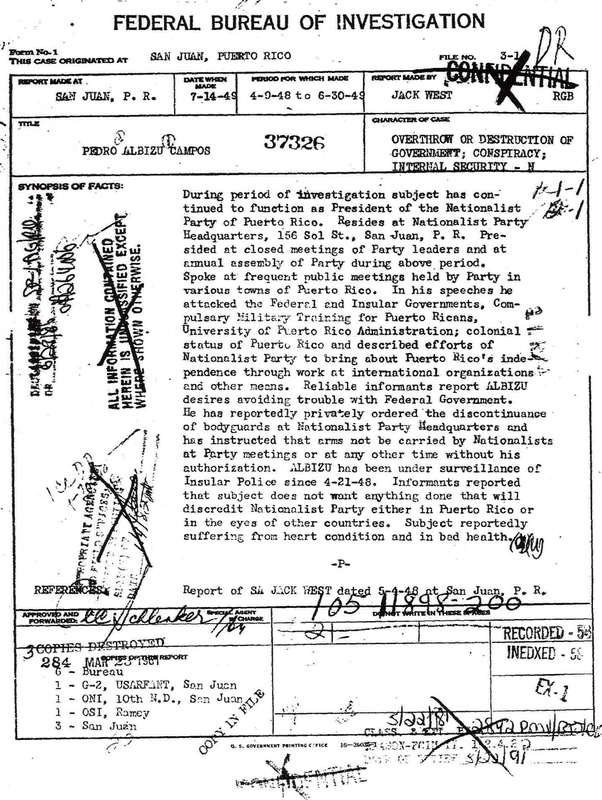 In addition, FBI files on over 100,000 Puerto Ricans were secretly maintained for six decades. The collapse of the Greek economy, under conditions similar to those in Puerto Rico, has brought renewed and urgent attention to the economic crisis on the island. Category: BookTags: Credit, default, Economy, Greece, Greek, IMF, Nelson A Denis, Pedro Albizu Campos, Public Debt, Puerto Rico, U.S. This is the truth, the whole truth and nothing but the truth, about Puerto Rico’s history! Don’t miss this interview …. a must see! !